Say Oui to a weekend getaway with the Chicago Southland’s newest boutique hotel, La Banque Hotel. Located in the bustling downtown district of Homewood in a renovated bank building, La Banque Hotel offers a luxurious stay one typically finds in the city, with the flexibility that only the suburbs provide. Attached to the hotel is La Voûte, a French contemporary restaurant that specializes in farm-to-table cuisine. 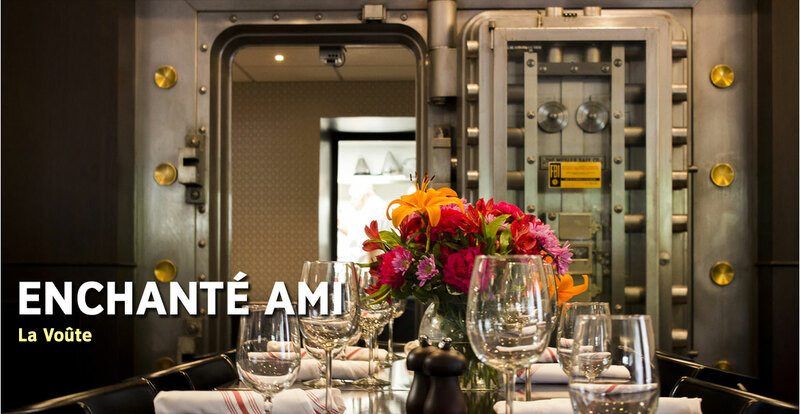 La Voûte offers guests a unique experience with a vault door signed by J.Edgar Hoover prominently displayed in the dining room and a feature wall in the bar decorated with repurposed safety deposit boxes. The La Banque Hotel is conveniently located less than a block away from commuter rail options. Trade the impersonality of the city for the quintessential Midwestern charm of the Chicago Southland.